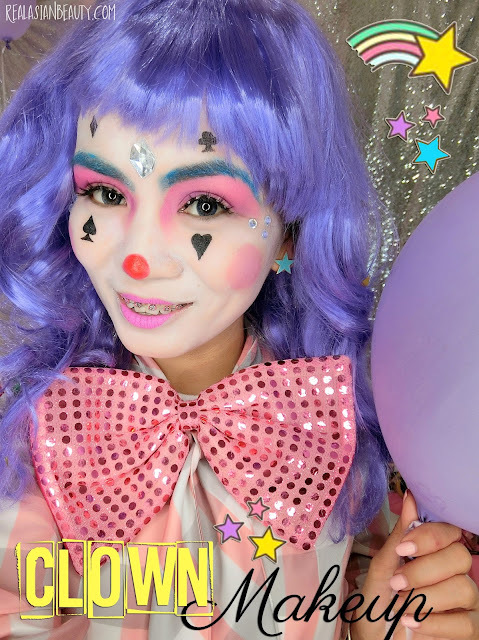 Real Asian Beauty: CLOWN MAKEUP | Boyfriend Does My Makeup! 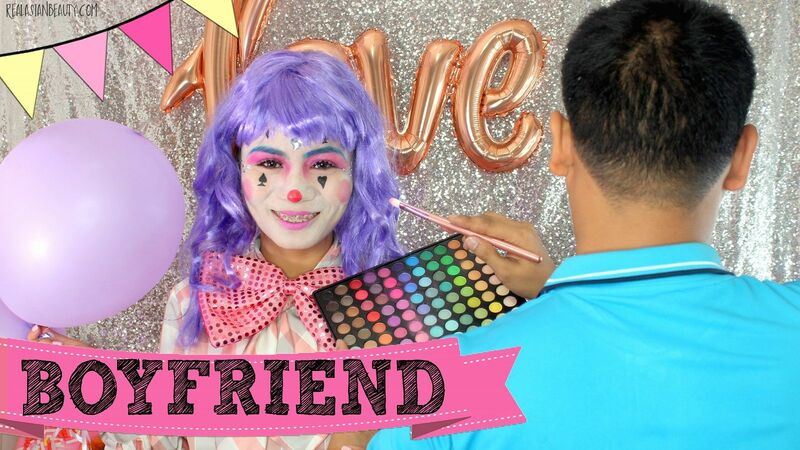 CLOWN MAKEUP | Boyfriend Does My Makeup! I tried for months and months to convince my BF to do a video with me. Few things on my list were Haul Video together or Boyfriend Does My Makeup. After finally coming up with ideas for our video, the next dilemma was to think of ways how we could get it done without showing his face in the camera. (Reason why we don't show his face in my videos will be answered in another post.) Finally, we thought of doing it with his back facing the camera! Yay! 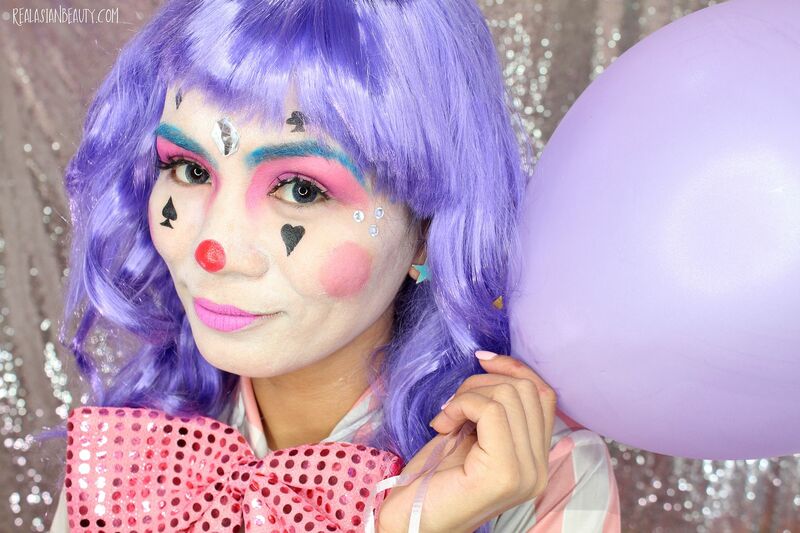 Since it's Halloween, we decided to give the BF TAG video a twist by asking him to do my makeup as a clown! First, let me tell you why I thought of dressing up as a clown for Halloween. It's definitely not because I want to ride the wave of "Clown Sightings". It's because ever since I was a child, I have been amazed and fond of clowns. With the recent clown pranks and some bad stuff people do while dressed as clown, some people start forming negative connotations towards them. The urge to make the image of clowns positive again became stronger when a professor who taught me in college posted on his Facebook regarding his dismay towards the bad impression on clowns these days. He said he used to be a clown when he was younger. He mentioned how fun yet challenging job it was to give laughter and entertainment to people. I thought clowns should never have this negative connotation. I mean, how would I ever feel if pranksters suddenly dressed up in Teletubbies or B1 and B2?? Heck no! I love those cute characters and it would break my heart to see them be used in negative stuff. Thus, I asked BF to transform me into a cute and friendly clown! Because Halloween isn't always scary. Clowns aren't all bad and YouTube makeup videos don't always have to be serious. Enjoy our version of Boyfriend Does My Makeup challenge! If you don't speak Filipino, please remember that you can always click the CC button at the lower right corner of the YouTube screen to turn on English subtitles. BF and I really had a great time doing this challenge! Despite the fact it we finished filming the video at 1AM, the outcome was still satisfying. I can say he did a pretty good job, considering it was his first time ever to use makeup! What do you think of his makeup skills? Do you think he did a good job? I am really thankful that BF is supportive to even agree to do my makeup and be seen by his officemates hold makeup brushes and makeup pallete! Thank you for reading today! If you enjoyed the video or if you think my BF did a good job doing my makeup, then please don't forget to check out and SUBSCRIBE to my YouTube channel, RealAsianBeauty, (HERE) for more fun videos and tutorials!